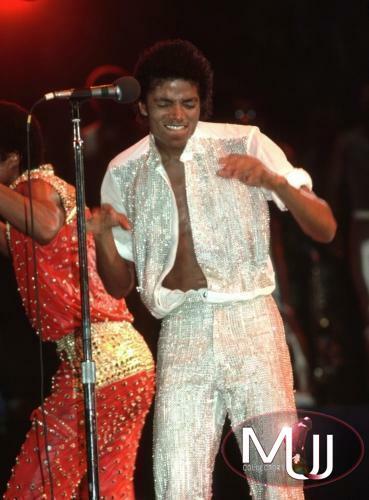 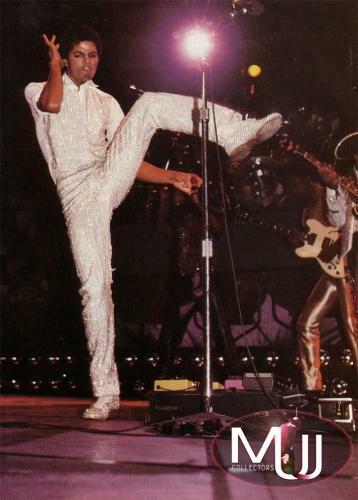 Triumph Tour stage costume including a customized white cotton shirt with velcro front closure and rhinestones on the front and the tips of the collar, a pair of matching pants completely covered with rhinestones and a single white Capezio leather shoe with rhinestone studs. 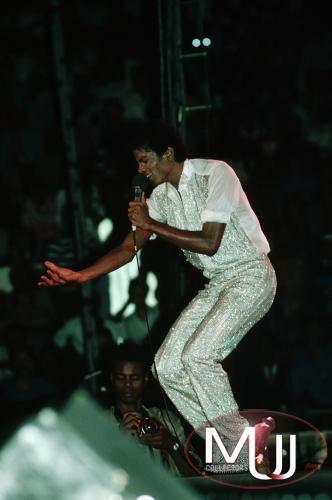 The shoe has “Michael” written in ink on the bottom. 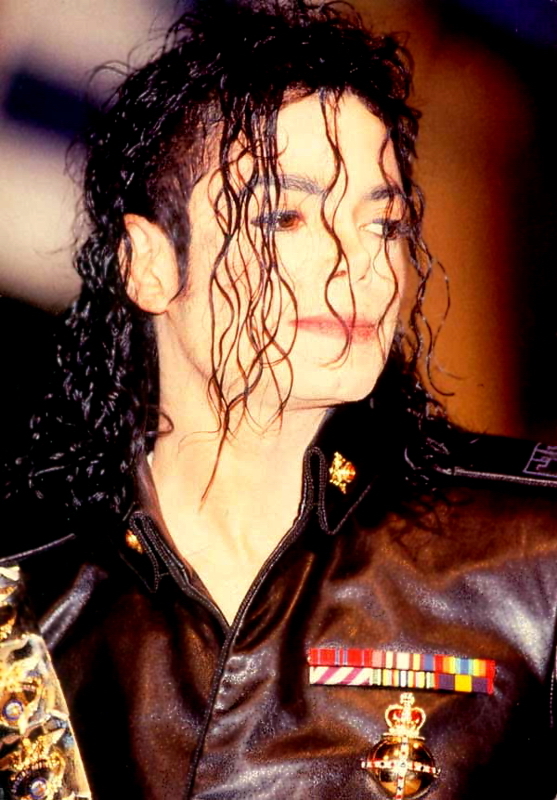 The shirt also has a “Michael” label handwritten in black pen and a label reading "after Six".